TVS has launched the Jupiter Grande 110 in India. It is a 110cc scooter based on the Jupiter 110 but gets LED headlamp and DRL, semi-digital instrument console, cross-stitched maroon seat, beige panels, chrome accents. and a new blue shade. The Jupiter Grande uses the Jupiter 110's underpinnings and front telescopic forks but gets a new rear shock absorber that is adjustable for preload. You also get diamond cut alloy wheels on the disc brake variant. Braking is via 130mm drum brakes with combined braking system and an optional front disc brake. Power is courtesy the same 109.7cc air-cooled single-cylinder motor that makes 8PS and 8Nm of torque and is mated to a CVT gearbox. 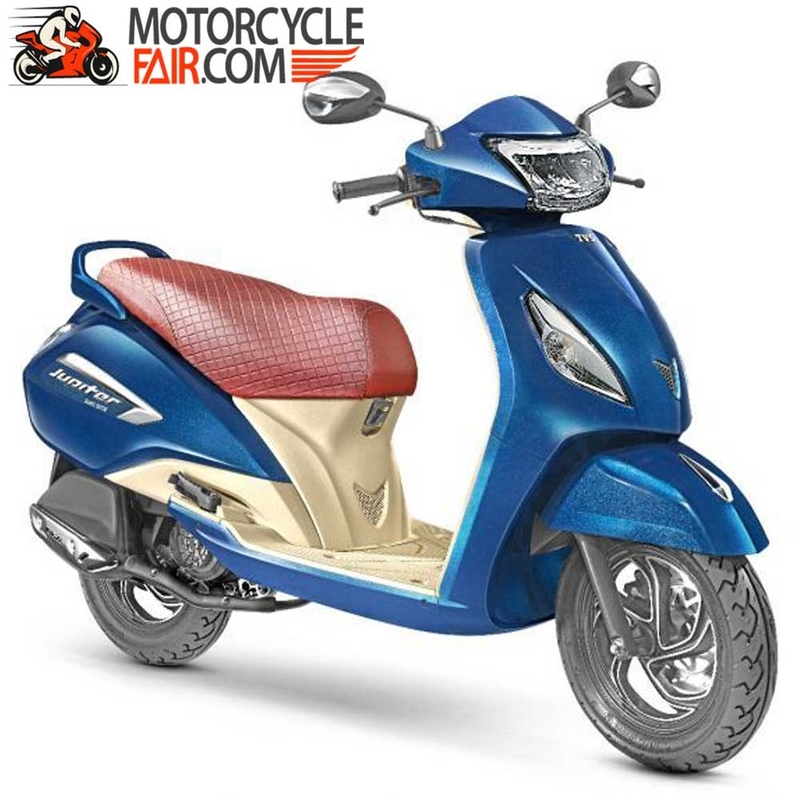 The Jupiter Grande competes against the Honda Activa 5G, Yamaha Alpha and the Hero Maestro Edge.